LaMoure County is located in southeast North Dakota. LaMoure, Verona, Berlin, Edgeley, Kulm, Jud, Dickey, and Marion are the cities within the county and the county seat is LaMoure. Unincorporated cities are Alfred, Nortonville, Adrian, and Grand Rapids. There are 32 organized townships. The county was created in 1873 and later organized in 1881. The county seat was originally in Grand Rapids and then moved to LaMoure. The courthouse is on the National Register of Historic Places. 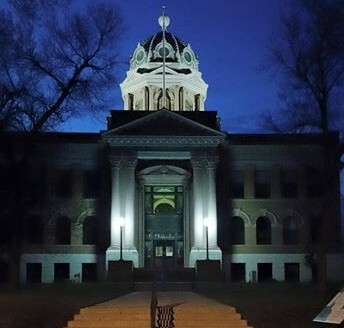 To the right is a picture of the LaMoure County Courthouse. Or the offices can be reached by dialing (701) 883-5301 and listen to all the instructions to find the correct office.